ASIC management and monitoring system that installs directly onto Bitmain© hardware. ASICseer is scheduled for release during the month of April, 2019. See https://asdemo.asicseer.com/ for an example Panel. 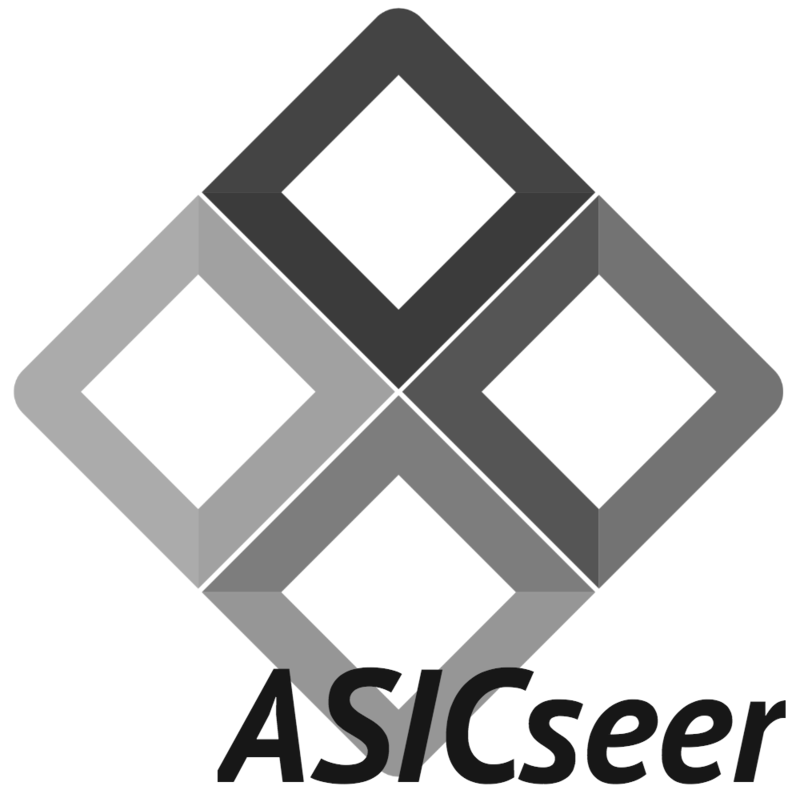 Submit an ASICseer Invitation Request and join the #asicseer-help IRC channel. Free to use: Download and begin using immediately. No Payment Required. ASICseer is currently running on 2562 ASICs and 38ph/s. ASICboost: ASICseer uses ASICboost to reduce power, then increases hashrate by 10-15% with the extra capacity. Frequency tuning: Get an additional 5-10% extra hashrate. ASICseer automatically tunes each chip to the best of its performance ability. Power management: Manage ASIC power by setting ASIC maximum watts. Decreasing saves power, increasing boosts hashrate. Overheat protection: ASICs automatically stop mining if they reach predefined temperature thresholds. Quickly see farm hotspots. Multi-ASIC roll-out: ASICseer installs safely and automatically, avoiding tedious and time-consuming firmware flashing. Full farm control: Control your entire ASIC farm with a single Remote Config File. No pool proxies required. Easy installation: Installs quickly with a simple one-liner network script. Accurate reporting: All ASICs report to a single unified web panel with detailed statistics, charts, and event reports. Quickly see problem ASICs. configmaker.com support: Input your ConfigMaker URL during installation to gain control of ASICs remotely. Remote configuration: Reboot, reset, blink lights, set rack location, fan control, change pools, and other settings remotely. Free 24/7 support: Free 24/7 lifetime support via the #asicseer-help IRC channel. Supports Popular ASICs: Immediate support for all Antminer S9 models, with planned support for all Bitmain SHA256 miners. Easy update: Update to the latest version of ASICseer quickly and easily (even automatically, if you like). Stable: ASICseer performs best-effort maintenance and management on hashboards to increase uptime and stability. Secure: All data is sent and served over secure https connections. NTP exploit fixed. Optional Panel password protection is supported. ASICseer brings the same kind of management and monitoring solutions to ASICs that our GPU customers have grown to love from ethOS. On top of all other features, most customers will see a 15%-30% combined improvement in hashrate/power. ASICseer uses a 2.9% development fee. The fee is calculated by mining 2.9% of the time to ASICseer development pools. The following features are possible on ASICs, but must be done without the support of ASICseer developers or staff. Performing the below actions should be done at your own risk. Wireless networking (causes packet loss, especially in large deployments). GUI-based ASIC management (all required management is done through config files). Bitmain's latest firmwares restrict your ability to SSH to your ASIC. For now, if you need to restore your ASIC to factory settings, instead of upgrading to Bitmain's firmware, use the "Restore via IP Report Button" functionality as described on Point 3 of Bitmain's factory restore guide. Please also contact Bitmain and kindly let them know how important it is for you to have software that does not place limits or restrictions on your ability to interact with your purchased hardware.